I'm happy working on a website, and leaving the design of the watches to others. Carrera 2447 SN would be interesting, but I'm not sure how it wold look in a fat, 42 mm case. I do wish that TAG Heuer had a smaller three register / tri-compax movement, but with the current line-up of movements (Heuer 01 and Heuer 02), I'm not sure what the best OTD LE might be. So we'll leave that to others!! 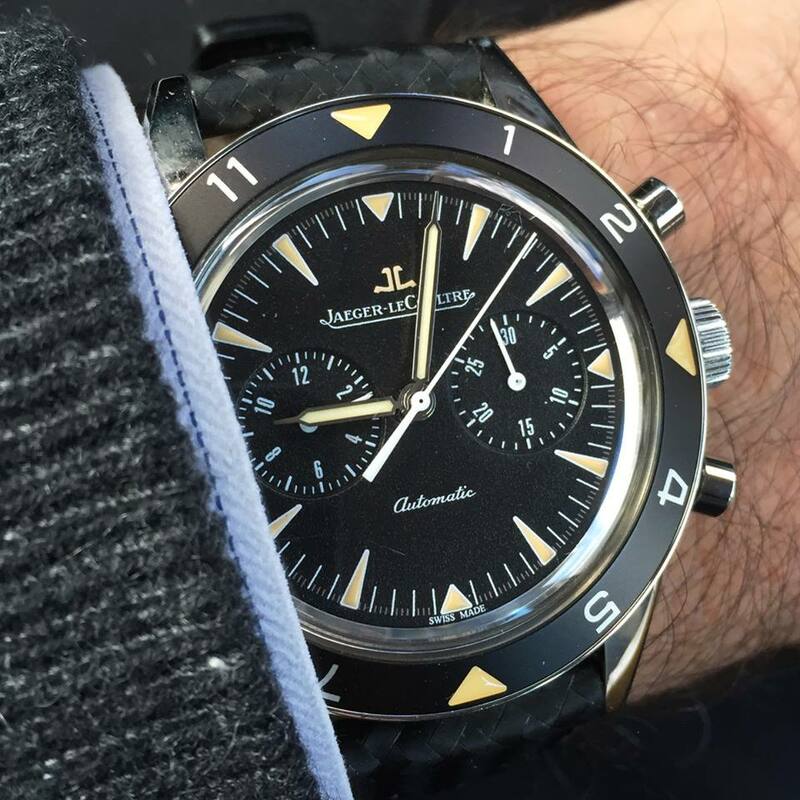 And, in the meanwhile, I will enjoy this JLC Deep Sea, as the re-issue of the Autavia that TAG Heuer should have made. : it to 25 pieces!! Welcome to the club from #42!